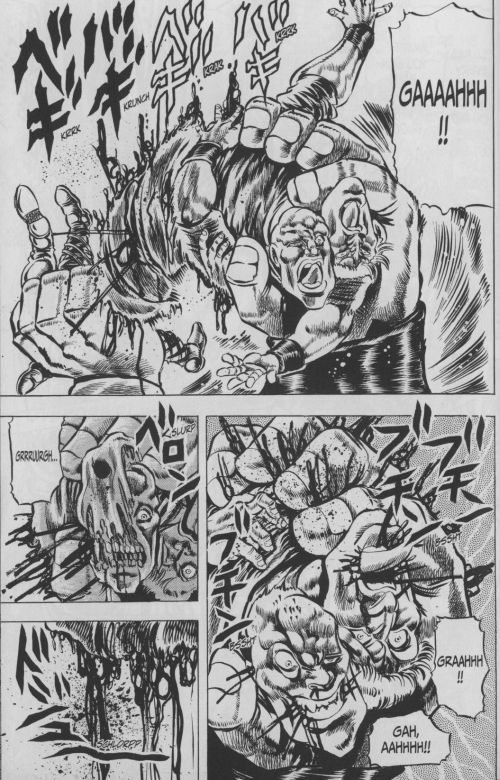 Yes, this manga has a scene in which somebody eats a baby. 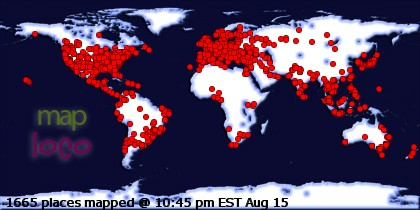 Holy crap! 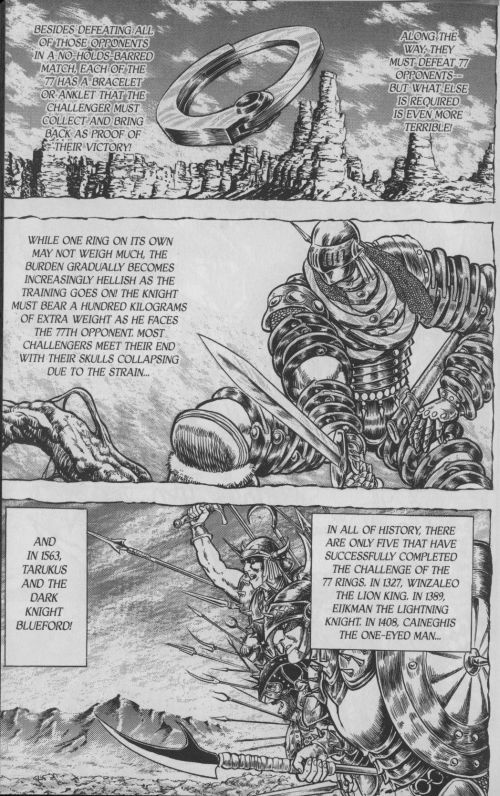 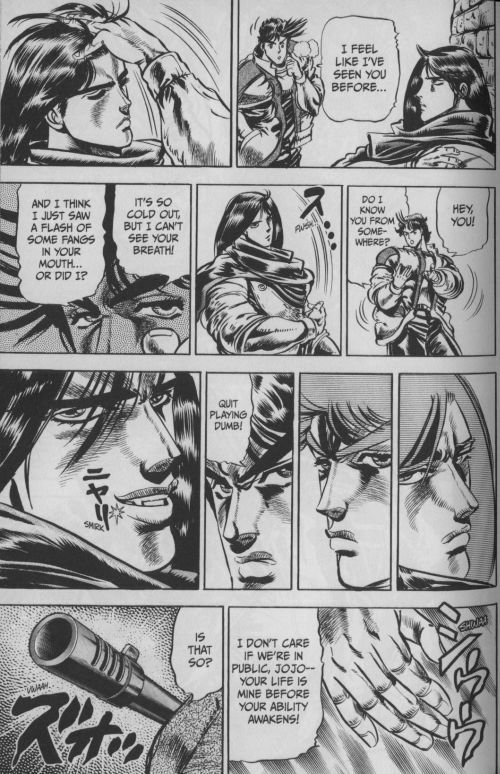 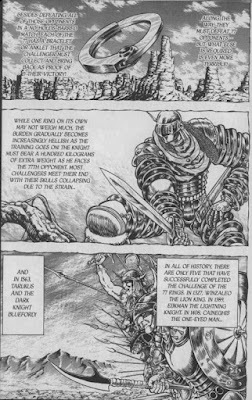 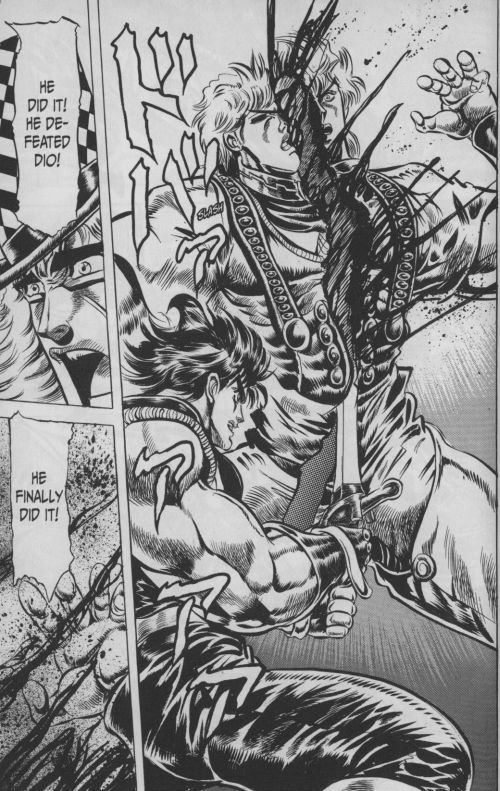 But the good guys win of course, both through overwhelming virtue and also the support of their allies (there are two separate moments in this volume in which one of Jonathan's pals gets dismembered but manages to provide one last bit of support before dying). 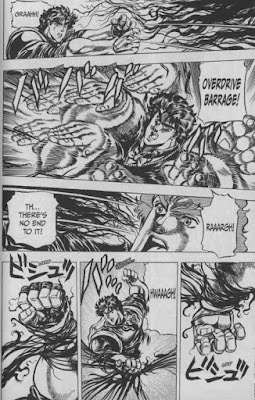 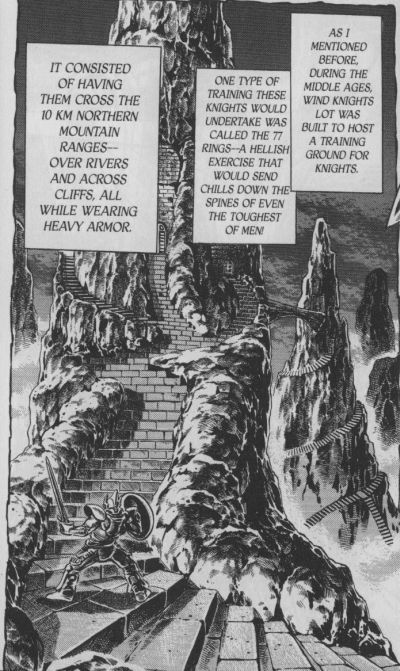 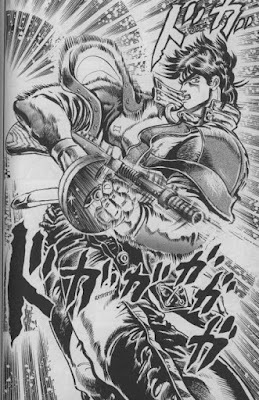 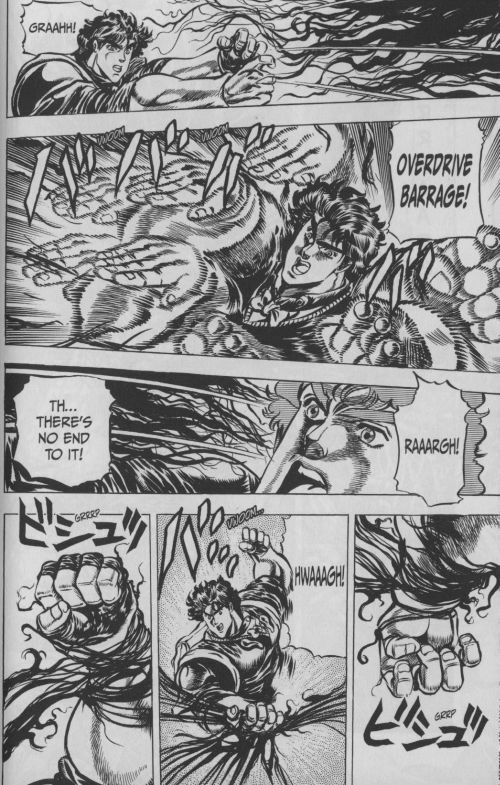 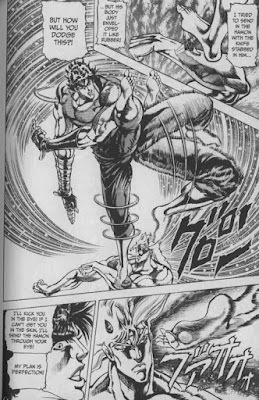 However what appears to be Dio's final defeat occurs about 70 pages before the book actually finishes, so you know he's going to somehow survive for another battle. 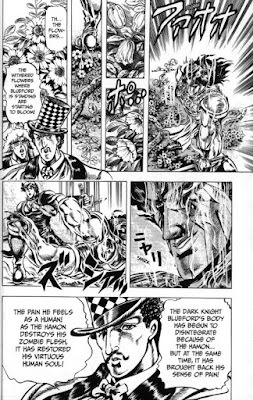 And sure enough, we learn that he managed to cut his own head off before JoJo's Hamon energy completely destroyed him, and one of his minions absconded with his remains so he could menace JoJo another day. He was born with the ability to use Hamon powers, so he's already pretty awesome when the story starts, and he'll presumably learn even more amazing powers in his continuing adventures. 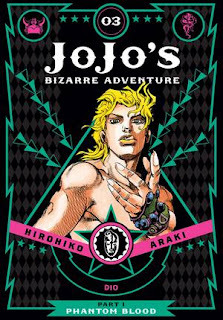 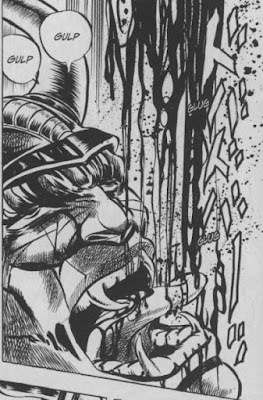 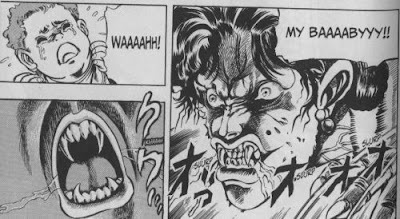 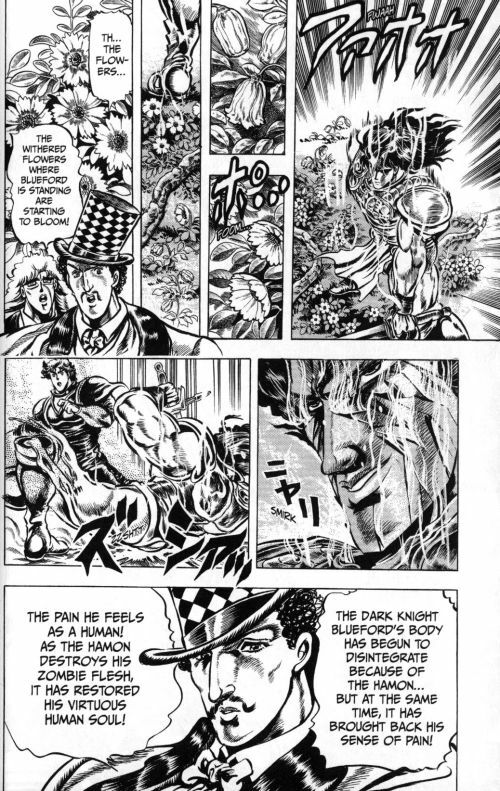 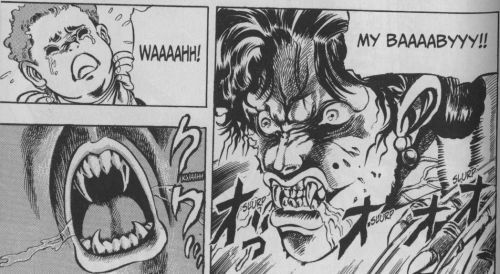 These start happening when Speedwagon, who in the gap between part 1 and 2 has become a rich oil magnate, discovers a weird underground temple in Mexico that contains more of the stone masks that turned Dio evil, as well as a weird pillar in which a humanoid, possibly alien figure seems to be in stasis. Could this be the source of the evil masks? 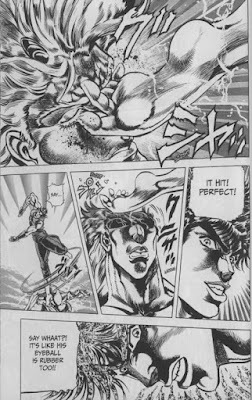 Is it an example of humanity's ultimate evolution? 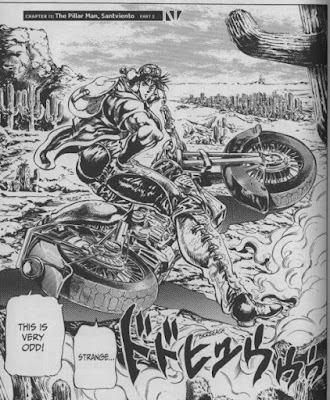 Probably! 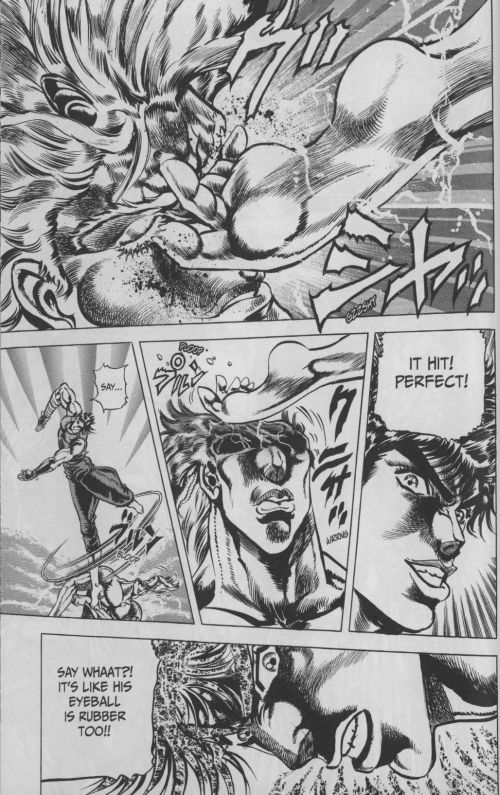 Amusingly, this doesn't work in the slightest, so we're spared any scenes of gay panic in which Nazis hit on him and get grossed out when they find out he's a man. 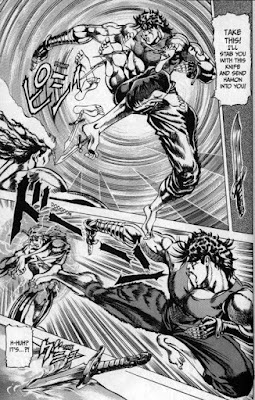 But since this is only the first volume in this part of the series, Santviento ends up being something of a minor, easily defeated threat. 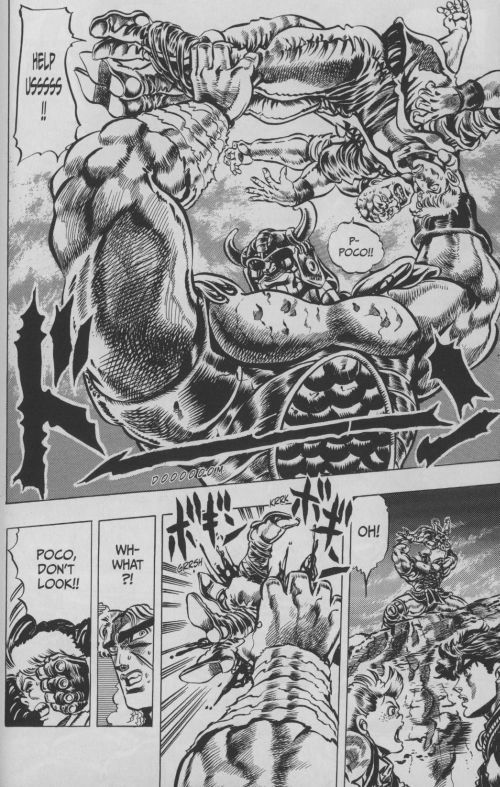 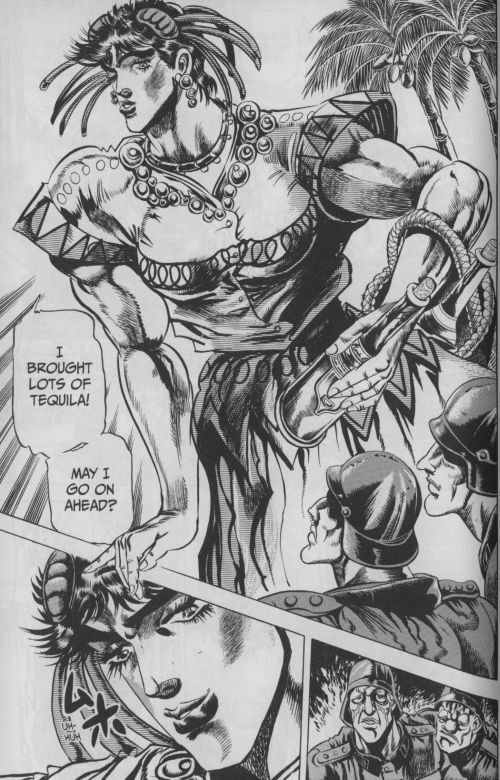 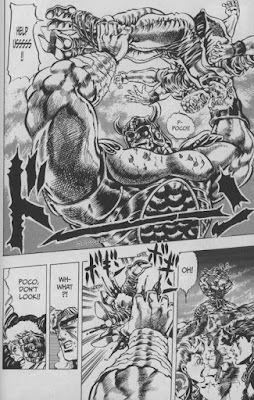 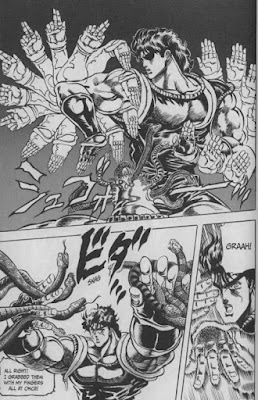 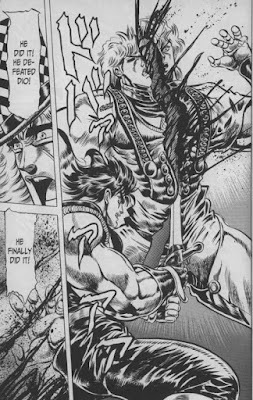 JoJo does manage to beat him in a pretty awesome fashion by using his weakness against sunlight, but then he learns that this pillar man is only one of several from around the world, and they'll be waking up and attacking humanity soon. 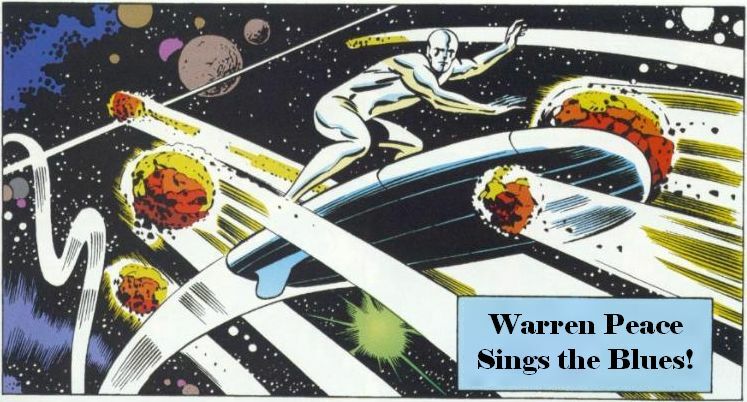 Join us next time for more crazy nonsense! 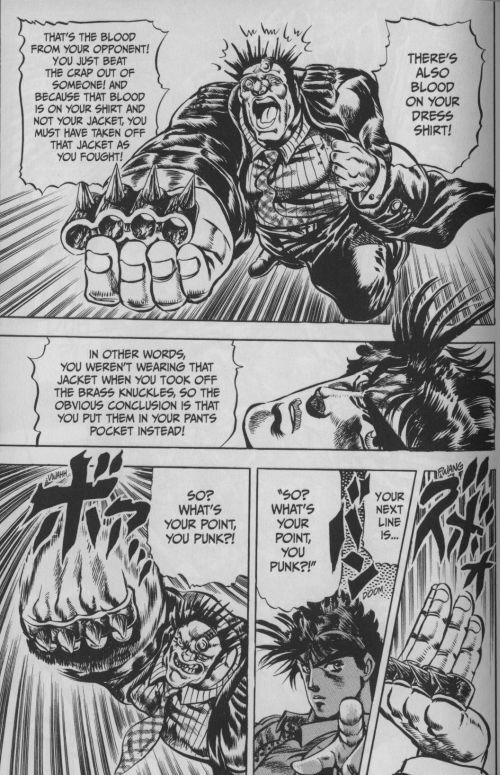 So that's where we stand at this point of the series, which has since gone on for dozens of volumes that presumably get ever nuttier as they go on. I'm fascinated to read more, since there's no predicting what sort of nonsense Araki will come up with next. 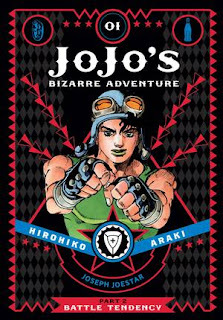 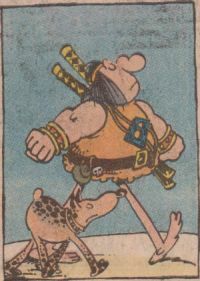 Some of what he does is par for the course for shonen manga, with characters coming up with new uses for their powers and shouting out the names of their attacks, but Araki seems particularly inspired, having JoJo do things like use Hamon to shatter his motorcycle goggles and send the shards of glass flying at bad guys, or having the evil Straizo decide the name for his eye-beam attack is "Space Ripper Stingy Eyes!" Combining this with his bizarre grasp of anatomy and fashion, Araki is sure to keep the craziness flowing, and I'm excited to see how he'll break my brain the next time. Bring it on, JoJo!